My first palaeontological research in South Africa centred on questions of taphonomy and palaeoecology at the Gondolin hominin site in the northeastern corner of the Cradle of Humankind World Heritage Site. During the course of my PhD research I undertook the first complete full analysis of all 95,549 specimens originally excavated in 1979 from in situ deposits in the cave (GD 2; Adams and Conroy, 2005; Adams, 2010; Adams, 2012a, b); and undertook new excavations into further in situ deposits of the cave system (GD 1; recovering 4,843 specimens; Adams et al., 2007) and the extensive Gondolin ex situ dumpsites that had previously yielded two hominin teeth (recovering 15,250 specimens). My investment at Gondolin produced one of the most comprehensive datasets to date on South African Plio-Pleistocene cave assemblage taphonomy and site palaeoecology for interpreting processes at hominin-bearing localities; and the first, most fully integrated and analysed South African mammalian faunal assemblages from the ~1.8 Ma time period outside the Bloubank Valley region. GD 2 fossil deposits: The remaining in situ GD 2 fossil deposits sampled by E.S. Vrba and David Panagos in the late 1970s. The preserved fossils (white) within the red siltstones are incredibly dense, representing one of the richest early Pleistocene fossil assemblages in the northern Cradle region. Adams JW, Sénégas FL, Kegley ADT, and Herries AIR. In review. Beyond Bloubank: early Pleistocene paleoecology of the Gondolin hominin site, South Africa. Invited submission 10/2014, Reynolds, SC and Bobe, R (eds. ), African Palaeoecology, Cambridge University Press. Herries AIR and Adams JW. 2013. Clarifying the context and dating of the Gondolin hominin tooth and the age range of Paranthropus in South Africa: a comment on Grine et al. 2012. Journal of Human Evolution 65: 676-681. Adams JW. 2012. Craniodental and postcranial remains of the extinct porcupine Hystrix makapanensis Greenwood, 1958 (Rodentia: Hystricidae) from Gondolin, South Africa. Annals of the Ditsong National Museum of Natural History 2: 7-17. Adams JW. 2012. Stable carbon isotope analysis of fauna from the Gondolin GD 2 fossil assemblage, South Africa. Annals of the Ditsong National Museum of Natural History 2: 1-5. Herries AIR, Hopley P, Adams JW, Curnoe D, and Maslin M. 2010. Geochronology and palaeonvironments of southern African hominin localities - a reply to Wrangham et al. (2009) ‘Shallow-water habitats as sources of fallback foods for hominins’. American Journal of Physical Anthropology 143: 640-646. Adams JW. 2010. Taphonomy of the Gondolin GD 2 in situ deposits and its bearing on interpretations of South African Plio-Pleistocene karstic fossil assemblages. Journal of Taphonomy 8: 81-116. Adams JW, Herries AIR, Conroy GC, and Kuykendall KL. 2007. Taphonomy of a South African cave: geological and hydrological influences on the GD 1 fossil assemblage at Gondolin, a Plio-Pleistocene paleocave system in the Northwest Province, South Africa. Quaternary Science Reviews 26: 2526-2543. Herries AIR, Adams JW, Kuykendall KL and Shaw J. 2006. Speleology and magnetobiostratigraphic chronology of the Gondolin hominin palaeocave, South Africa. Journal of Human Evolution 51: 617-631. Adams JW and Conroy GC. 2005. 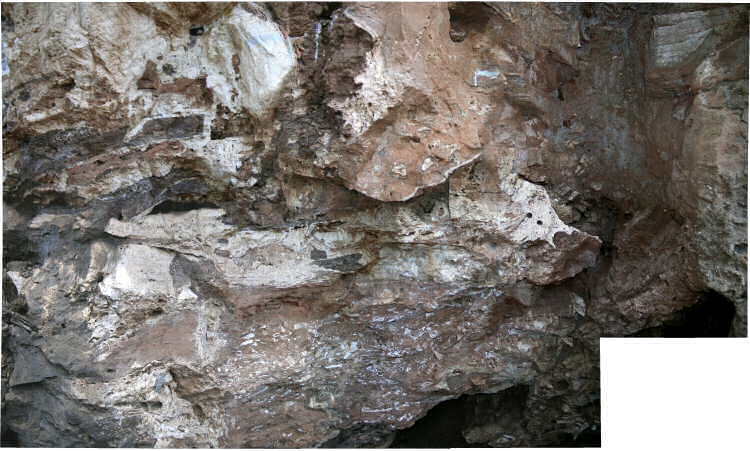 Plio-Pleistocene faunal remains from the Gondolin GD 2 in situ assemblage, North West Province, South Africa. In D. Lieberman, R.J. Smith and J. Kelley (eds.) Interpreting the past: essays on human, primate and mammal evolution in honor of David Pilbeam. Brill Academic Publishers Inc., Boston, 243-261.